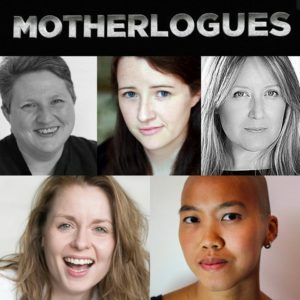 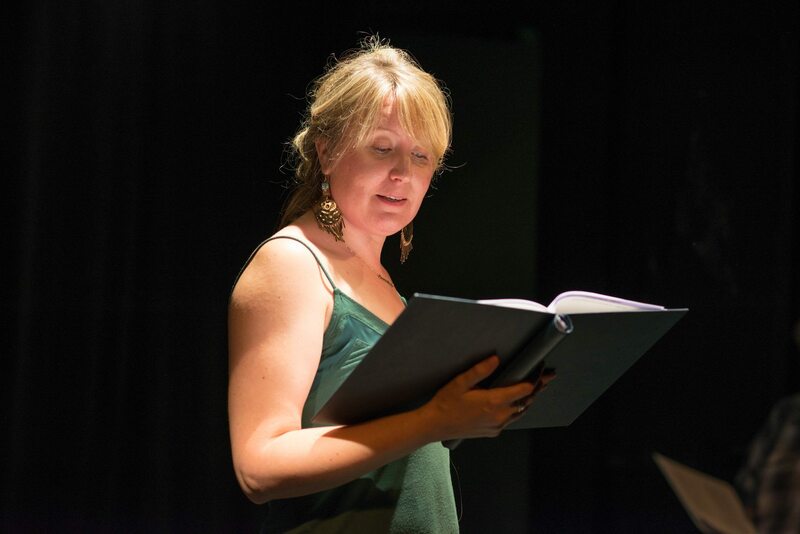 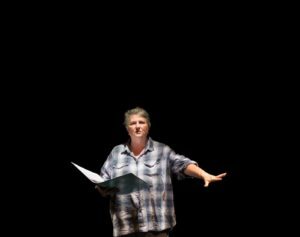 In August 2017, Rose Collis joined the cast which co-devised and acted in the third edition of Forked Theatre’s Motherlogues at the Camden Fringe Festival. 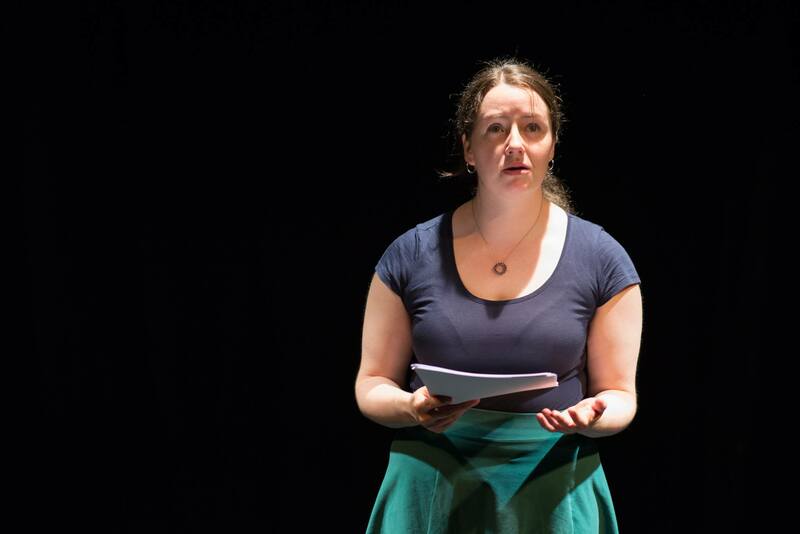 A raw & honest portrayal about motherhood. 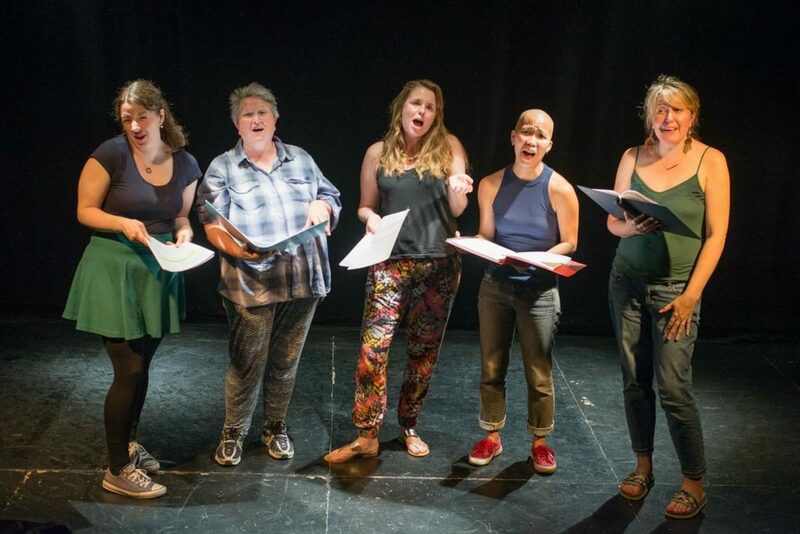 Whether it’s being a mum, not wanting to become a mum or dealing with a mum, five women collaborate to present a series of monologues sourced and written by the women who perform them. 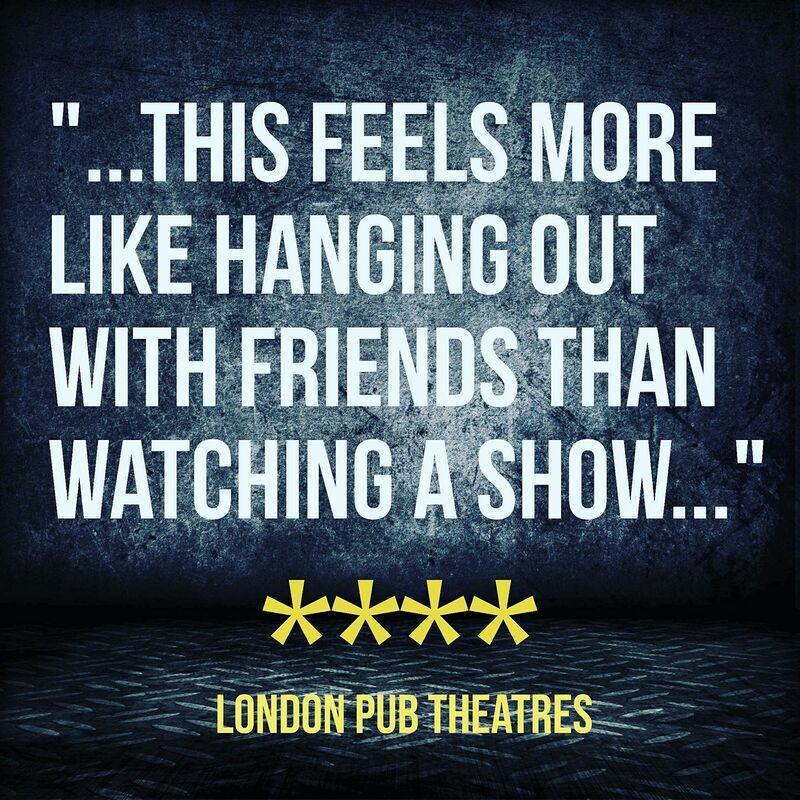 This show is a wonderful array of funny, heart-warming, sad, but above all, honest stories for all. 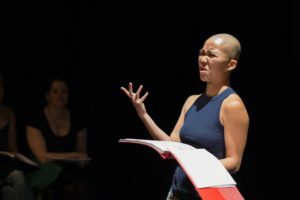 With Lauren Reed, Rose Collis, Kailing Fu, Colleen Prendergast and Stephanie Wickmere. 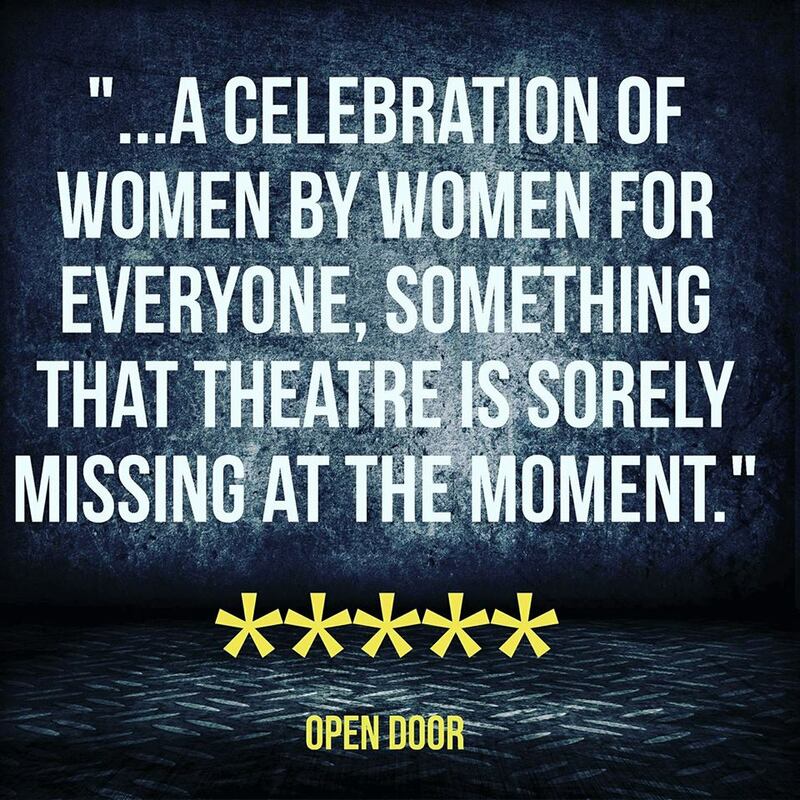 The evening belonged to all of the women involved, every single one of whom deserves huge admiration for what they achieved but it is Lauren Reed, the brainchild of the production, who deserves the highest praise. 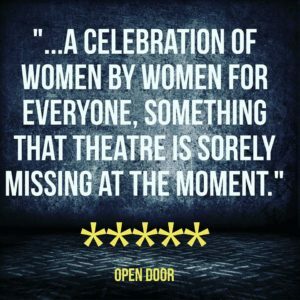 What Reed gifted us was a celebration of women by women for everyone, something that theatre is sorely missing at the moment. Created by Forked Theatre, the work is very fluid in that it evolves with each new production, continuing to include original stories gathered about the very important topic of motherhood – one that is a huge issue for all women. As the show focuses on the immediacy of real feeling and experience, the monologues are partly read from scripts. 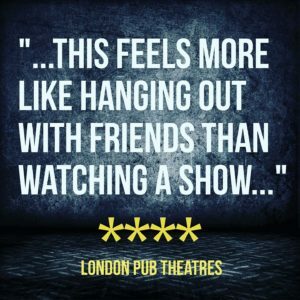 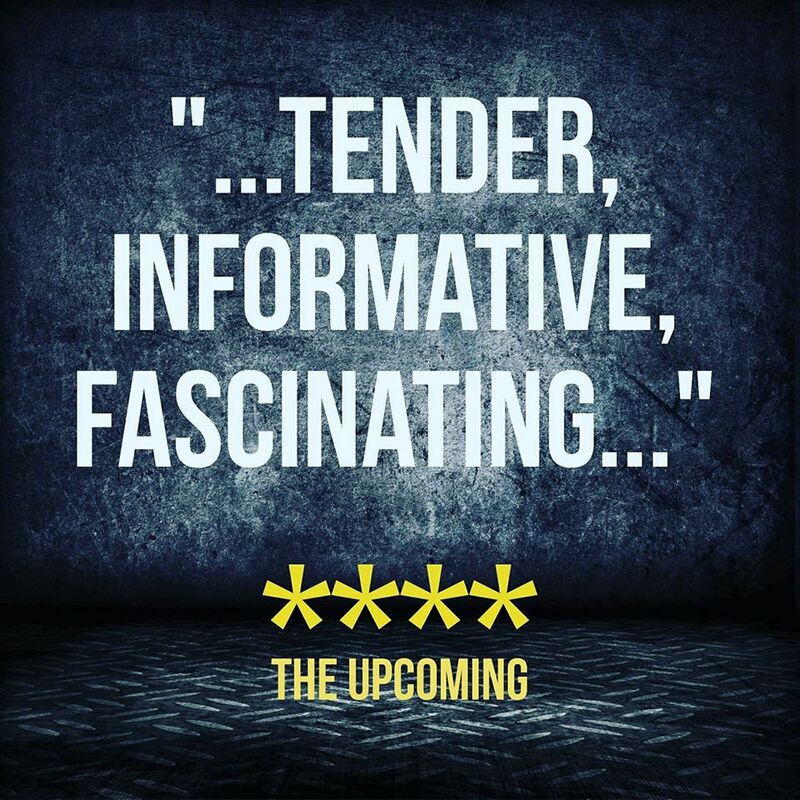 Stephanie Wickmere, Lauren Reed, Colleen Prendergast, Kailing Fu and Rose Collis play various women who have been interviewed, presenting real-life accounts from mothers and daughters and brilliantly achieving the nuances of their stark emotion, humour and anguish. 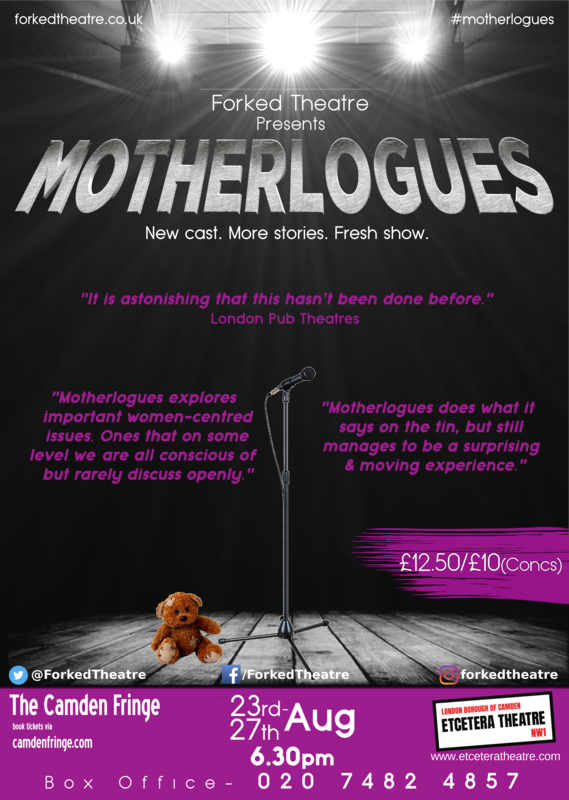 A strong political and feminist piece, Motherlogues is also a tender, informative, fascinating look at perceptions, feelings and concerns we have about a highly emotionally charged subject.